The MoMA Library and Museum Archives were constructed as part of the Cullman Education and Research Center, the final phase of the Taniguchi expansion. 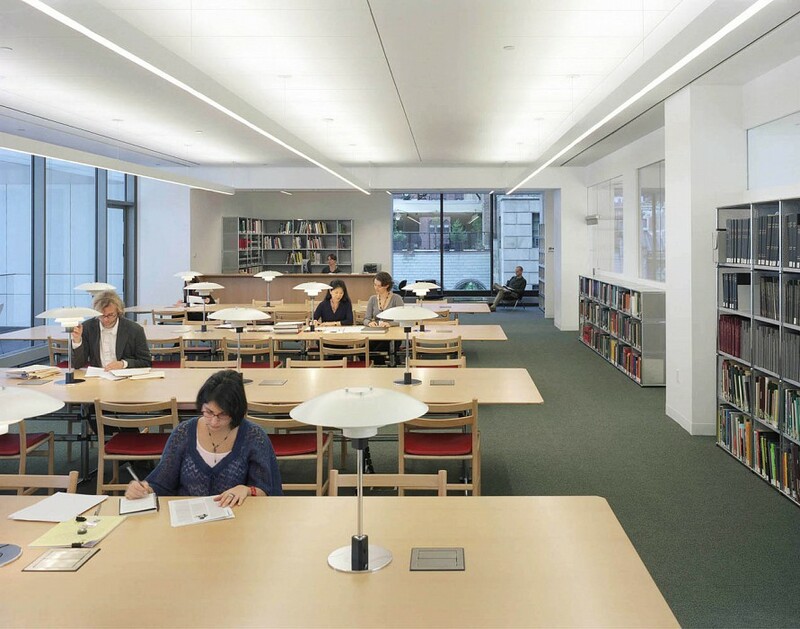 Located directly above the Museum’s curatorial departments, the Library/Museum Archives serve visiting scholars, gallerists, and advanced students as well as MoMA’s curators. 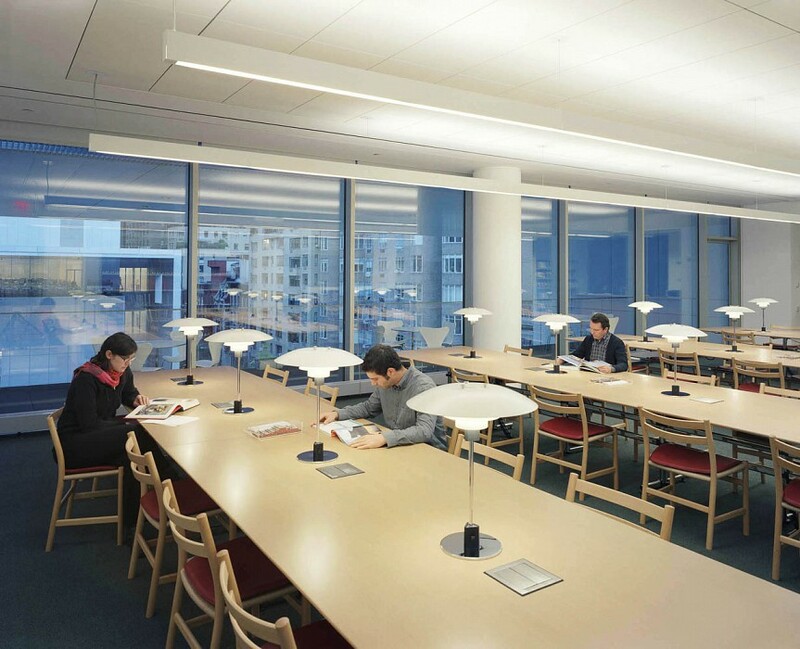 The Library Reading Room’s expansive glazing looks across the sculpture garden to the gallery wing in the west. 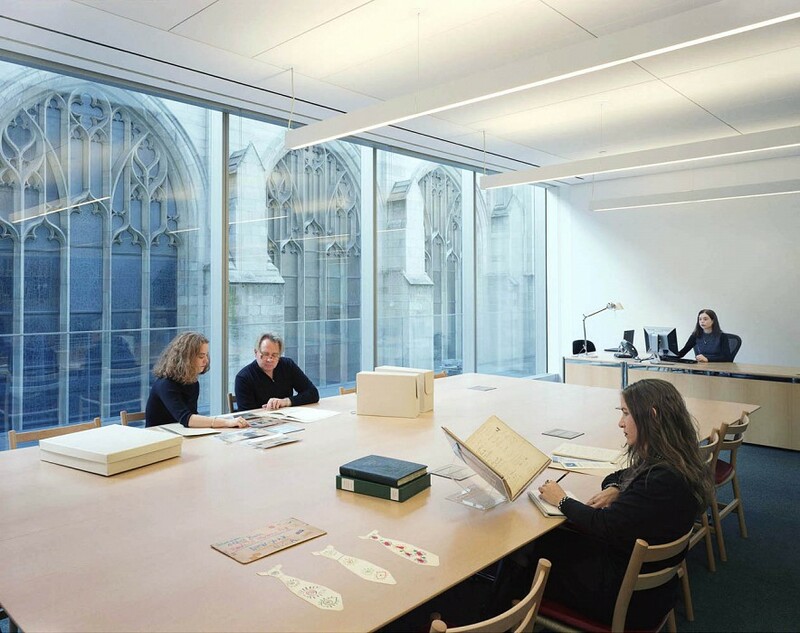 The Archives Reading Room faces the clerestory windows of St. Thomas Episcopal Church, a spectacular medieval counterpart. These spaces are often fully occupied, given the significance and breadth of the collections, yet they remain serene.